As a school our local and wider community is important to us and we like to bring visitors in to school as well as have visits out. We really value volunteers in school, the more adult support the children can have the better, listening to children read, planting flowers, assisting with an after school club, we really do appreciate it. We have a very robust yet simple safeguarding procedure for volunteers, as the children’s safety is of paramount importance at all times. If you are interested in becoming a volunteer please contact Carrie Almond or Chloe Johnson at the school. 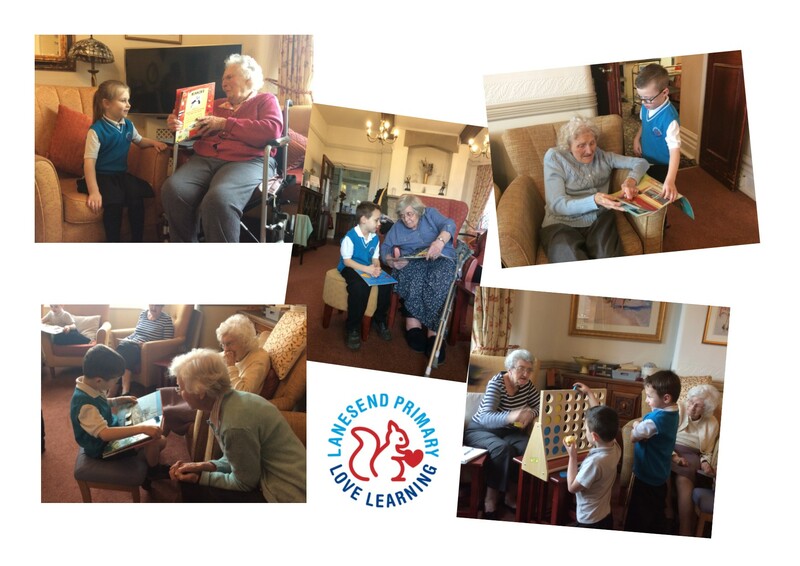 We also support local schools, colleges and universities by hosting work experience and student teacher placements, the love of learning reaches all ages! We currently have links with the Cowes Baptist Church who visit us weekly to host an assembly for the children, some of the members also visit school as mentors to support children who may just need that little bit of time with an adult. We also have Reverend Amanda who holds regular assemblies and also kindly hosts a weekly Mum’s tea and chat. Age UK are working with us and some of their volunteers are currently in school as mentors or visiting classes to talk about their childhood and how some things are very different! As a school we sponsor a child names Lin Latt through Action Aid, each Year group chooses a way to raise money to fund this project. Our school choir visits local businesses and older people’s homes each Christmas. We also welcome visits into school from local organisations such as the RNLI and Air Ambulance who have held assemblies for the children to learn about what they do. Our next project is to develop our outside growing areas, so if we have any budding gardeners out there who would like to help us with our vegetable patch and flower beds please do get in touch.